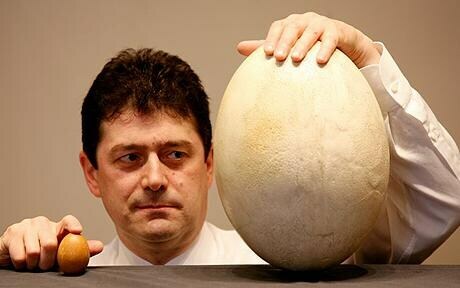 ‘Elephant Bird egg stories’ doesn’t quite roll off the tongue as smoothly, though. For those of you that’ve been following me for a few months now, you’ll know that I often pass the time by telling little stories — stories which my friends have named ‘goose egg stories‘. Because of their long, belaboured, drawn-out nature with no real rhyme or reason, and no real ending. The one they obviously loved the most was about a goose egg — and thus the goose egg story was born. So it would seem that a lot of my stories are just that: stories, or little tales of a slightly mischevious nature. I try my best to give them a beginning, middle and end but sometimes I slip and fall, breaking proverbial eggs, failing to even get past the beginning. I guess if you’re the kind of person that has more money than sense, you might have friends that would play a banal game of ‘guess where my egg is from’. It’s 400 years old, and comes from the Elephant Bird — a bird that’s now extinct, because it was hunted extensively… and because it couldn’t fly. Silly evolution. They were over 3 meters tall though! I must work on my endings. Actually, there are 17 species of penguins, and while a few species do live in Antarctica, many are found in temperate climates. Penguins can even be found living as far north as the equator; the Galapagos penguin, as the name suggests, is found in the balmy Galapagos Islands. Sheesh… are you some kind of marine biology geek or something? 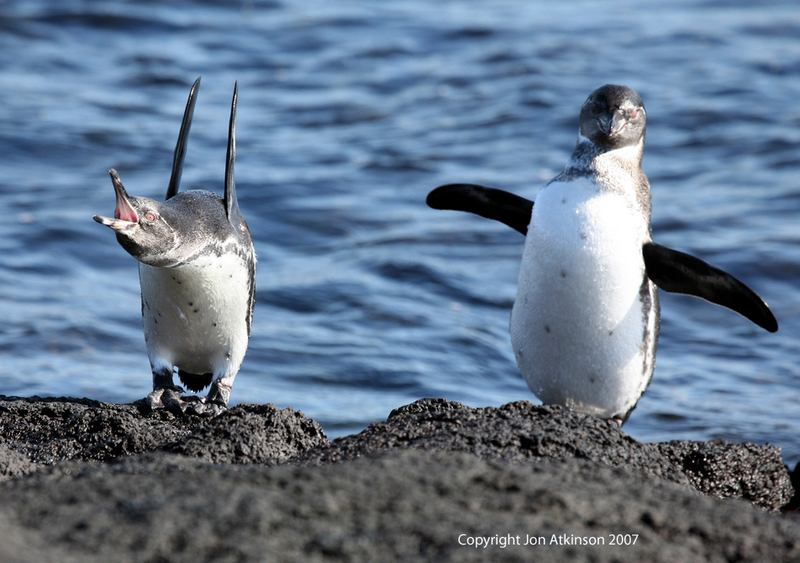 The Galapagos Penguin — I thought the whole point of penguins surviving, even though they’re pretty useless, was because of their lack of natural predators? Wouldn’t they get eaten by sharks and all sorts outside of the Antarctic Circle? What do you mean they have no natural preditors? I think penguins look delicious. I bet they taste like chicken. everything tastes like chicken. and I want to have it recorded that I do know what The Vicar of Dibley is. It’s one of those random things that my Britian obsessed second-mom used to make me watch. just thought you should know that I know. If easter egg is the size of that, and made of chocolates..
i seriously am in that time of the month, aren’t I ? My opinion of you has risen greatly, Hannah… keep it up! I loved the OJ joke at the end too.